As you are probably already aware, the Lush Halloween range has now gone live; which means their Christmas collection isn’t far behind. It’s almost time for me to stock up on Snow Fairy and their Christmas Magic Bubble Wands. Say goodbye to all the sweet smelling florals and bring on the spicy cinnamon, clementine and cloves. I really love this time of year. I sometimes think that the build up to Christmas is better than the actual day. I’m not really a fan of Summer. I live in Scotland, and let’s face it, we don’t really get one. I much prefer being all wrapped up and cosy with a good book and a hot chocolate. Wow, I’m getting old! So what’s new this year? 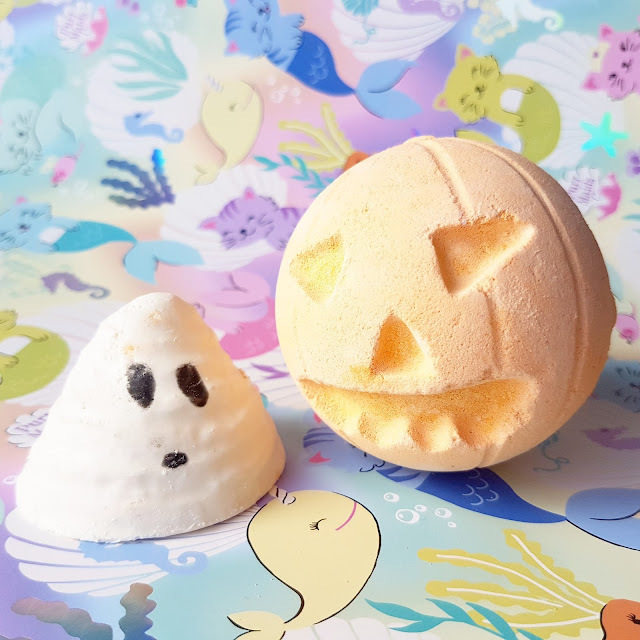 I picked up two bathtime treats, the Pumpkin bath bomb (£3.95) and Boo! bath melt (£3.95). 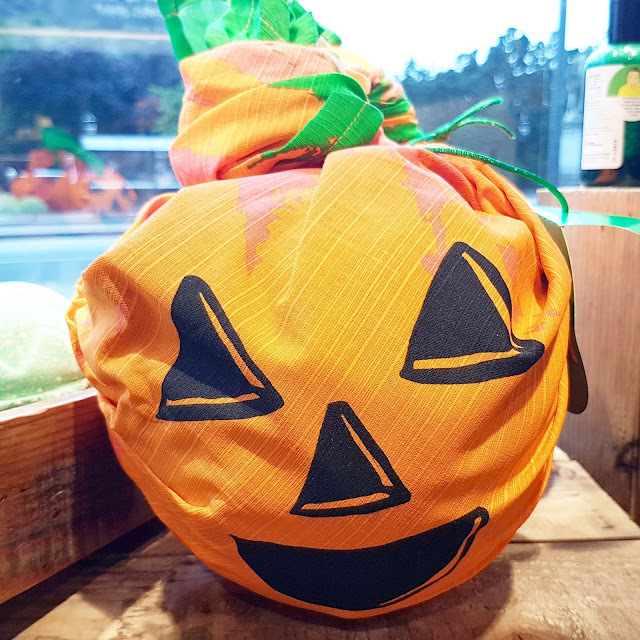 Pumpkin contains a sweet and spicy blend of vanilla absolute and cinnamon and the spooktastic meringue-shaped Boo! contains a surprisingly calming blend of mimosa, ginger, sandalwood and mandarin oil. As much fun as it is to watch a bath bomb bubbling away and sit a bathtub filled with orange water, the melt is definitely my favourite of the two as it made my skin feel beautifully soft thanks to the fairtrade, organic cocoa butter. 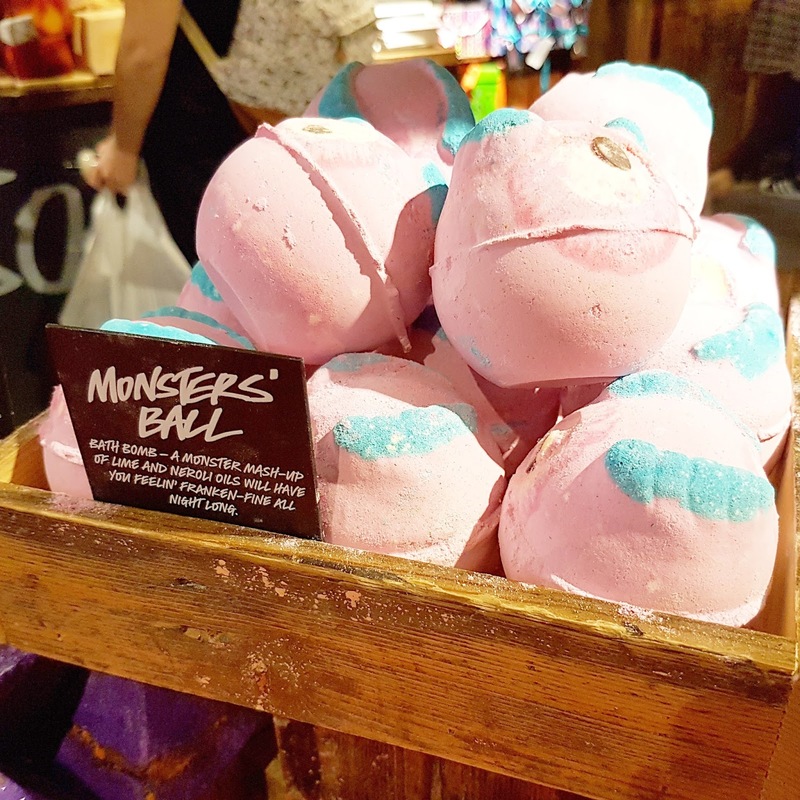 There appears to be four Halloween/Autumnal bath bombs available this year: Pumpkin, Monsters Ball (pictured below), Lord of Misrule (which also comes in shower gel form) and Autumn Leaf. Also available is a shimmer bar (Gothic Fairy), two soaps (Fireside and Magic Wand) and a bubble bar called the Sparkly Pumpkin. There are also three new knot-wrap designs and three gift sets: Pumpkin, Little Monster and It’s Magic. I do like bath bombs once in a while (although I avoid the glitter ones like the plague), but I often find that they are a little gimmicky, fizzling out to nothingness within minutes, with the exception of Big Blue. 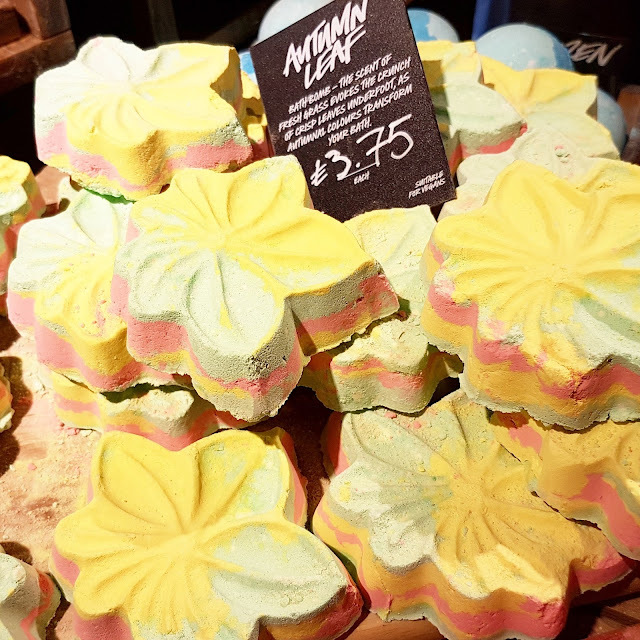 I much prefer bubble bars, melts and bath oils (such as the Rose Jam Bubbleroom, Melting Marshmallow Moment and my all-time favourite, The Comforter). They tend to be a little pricier but give a much more indulgent and longer lasting bath experience. I like the addition of Autumnal bathtime treats this year, but let’s face it, these guys are just the warm-up to the big event. Everyones poised waiting for the return of their festive favourites. Even the Halloween display in the store was lacklustre. I don’t think there are any products here that will gain a cult following or make it to the Lush hall of fame. In fact, I nearly bypassed them completely and headed straight to their fresh face masks. What do you think of the 2016 Lush Halloween collection? "Airwrap | The Safer Cot Bumper Alternative"